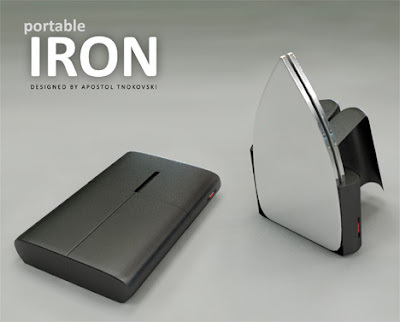 10 Creative and Clever Products To Make Ironing Easy. 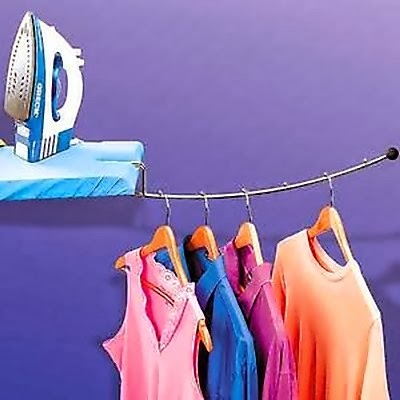 Collection of creative and clever products and gadgets to make your ironing easy from all over the world. 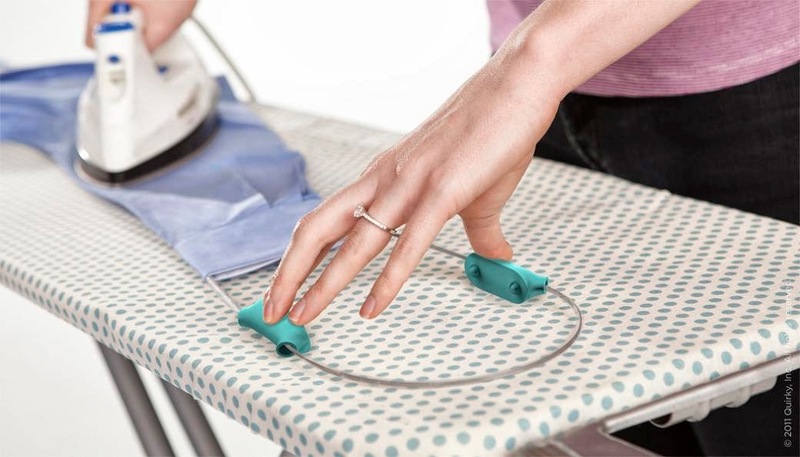 Outline: Outline is a flexible steel loop that comes with a holder that allows you to keep clothing taut and seams aligned while ironing your favorite threads. 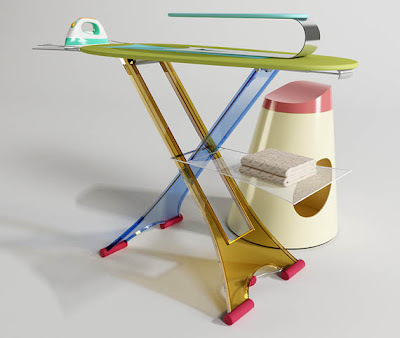 Colorful Iron Board: This modern ironing board includes a mini ironing board for pants and sleeves, a shelf for folded items and a laundry basket that doubles as a seating arrangement. 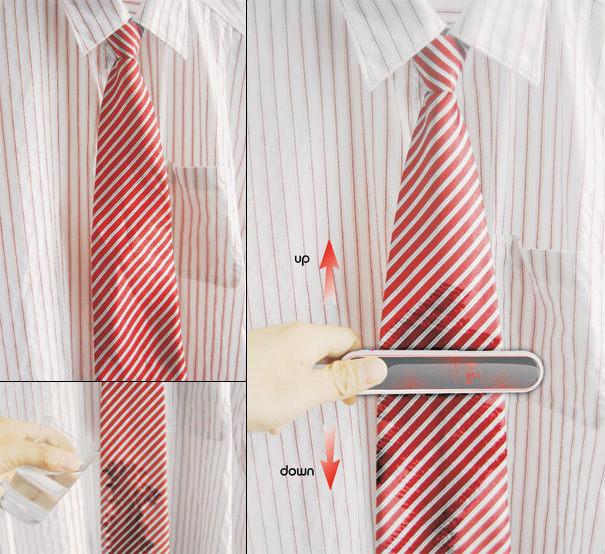 Stick Pin Iron: It clips your tie in place and is powered by either USB or an electric outlet to remove creases. Portable Ironing Board Drying Racks: These horizontal racks can be attached directly to ironing board or placed over a door; creates space virtually anywhere for placing clothes and keeping freshly ironed clothes wrinklefree. 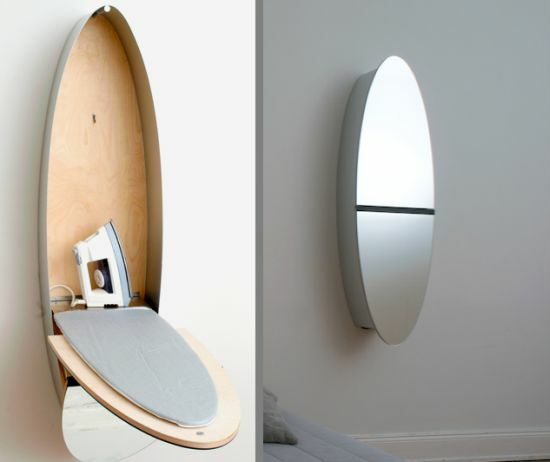 Mirror Ironing Board Closet: Developed for German manufacturer Konzept Design by designer Nils Wodzak; "it's a compact installation that accumulates all your ironing equipments, including iron, board and spray bottle, into a small closet that doubles as a mirror and triples as a lamp to illuminate your room." Portable Iron: Designed by A Tnokovski, it's a portable iron that unfolds from a slim boxed enclosure by rail mechanism. 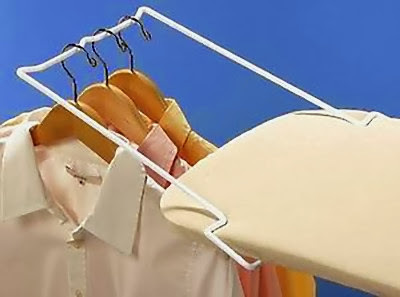 Ironing Board Cover: This ironing board cover doubles as clothes holder and can hold up to 10 ironed garments at a time. 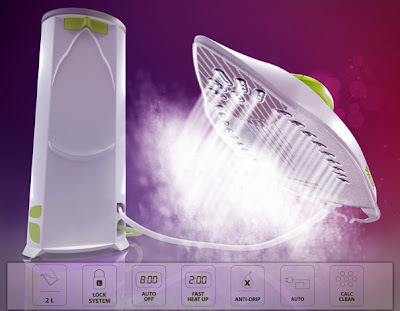 Easyglider Steam Iron Concept: Designed by Gonçalves; it's super light weight, ergonomically correct, comes with sleek base with 3 wheels with lock mechanism, removable water tank that has a volume of 2 liters to provide plenty of steam and more. 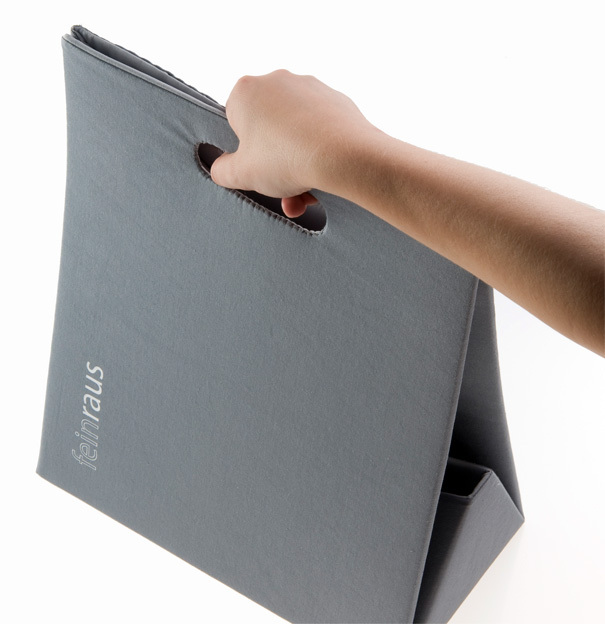 Feinraus Ironing Kit: Designed by L Töpfer, the kit contains foldable ironing mat that holds the iron, when not in use. The appliance comes with the convenience of cordless ironing and works at a single setting that is multi-textile friendly. 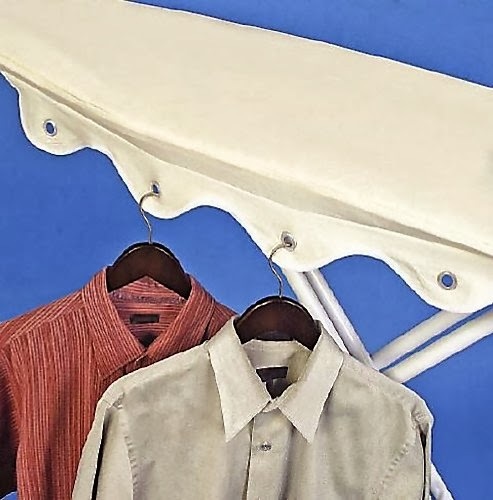 Ironing Board Hangers Racks: These clever racks can be placed over the end of most boards for instant holding space; these let you place finished garments right from the end of your ironing board. 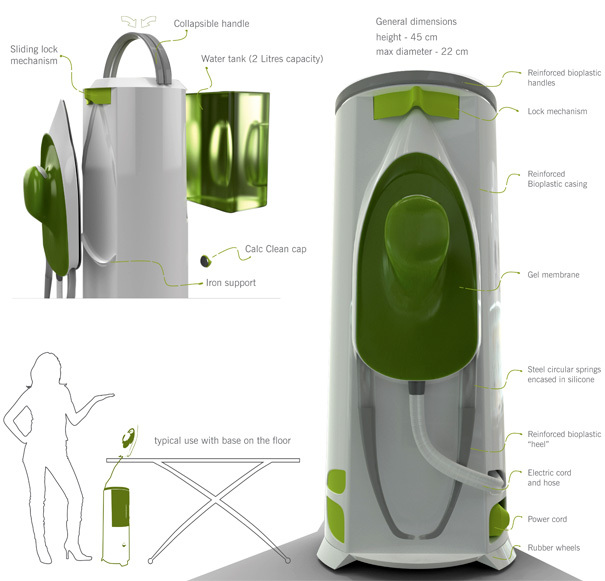 15 Unique Radiators and Cool Radiator Designs - Part 3. 15 Cool Toasters and Innovative Toaster Designs - Part 2. 15 Creative Coffee and Cool Coffee Based Advertisements. 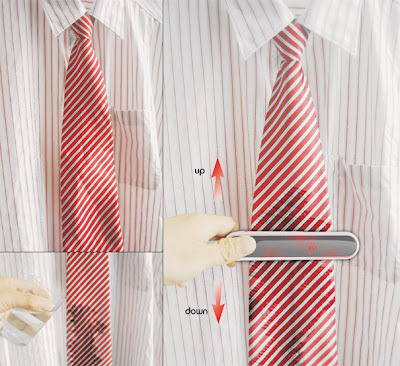 15 Creative Advertisements Using Oversized Objects - Part 2. 15 Innovative Electrical Outlets and Cool Power Sockets - Part 2.